I love pizza!! It doesn't matter if it is just a traditional simple pizza Margareta or some fancy designer flavor. I love super thin crispy crusts and thick doughy deep dish pizza. To me pizza in all flavors, shapes and sizes is delicious. Granted all of my pizzas must be dairy and gluten free pizzas! This Caramelized Onion, Chicken & Mushroom Pizza utilizes an Udi's Pizza Crust which is a great dairy and gluten free product. 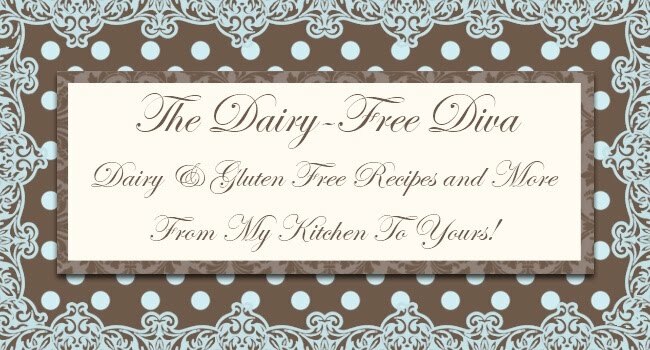 I used a goat's milk mozzarella cheese since I do tolerate goat's milk dairy products; however, it would be wonderful with Diaya or Follow Your Heart Vegan Alternative instead. Also, this is a fantastic way to use my Zinfandel Caramelized Red Onions which I canned. Saute the chicken thighs and set aside. Spread a thin layer of caramelized onions on the crust. 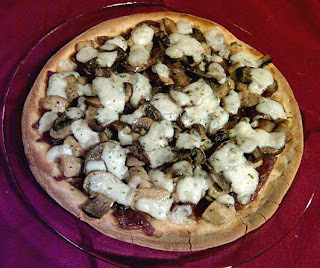 Top with the sauted chicken and mushrooms. Change oven to broiler and lightly brown the top of the pizza. Top with fresh thyme leaves if desired and serve. What a superb & gourmet pizza this surely is!